My favorite summer wine is rosé. Its lovely pink hue and delicate flavor win me over at almost every meal, as it flirts with me from the bottle; I just can’t’ say no to it. It’s as refreshing as a crisp white on a hot day, but slightly big enough with a few tannins and flavors from the red grape skins to complement grilled meats, heavy meats, grilled vegetables and summer desserts. Rosé will pair up with almost anything, making it the summer wench of wine. 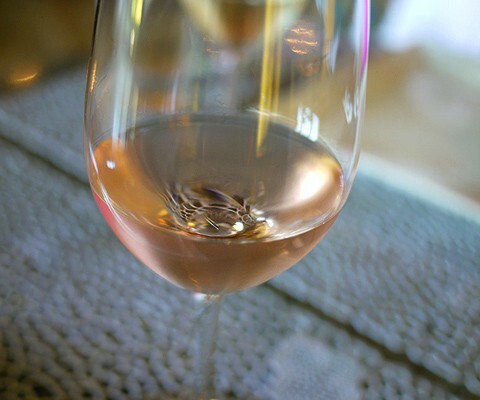 My favorite rosés are those that are light in color and alcohol, but medium to high in acidity. Rosés from Provence are the originals, and could easily be called the best. Triennes rosé is a favorite of mine, made from Cinsault blended with Grenache, Syrah and Merlot. It’s light yet flavorful and is the perfect accompaniment to a summer dinner. Another rosé I love is from Bodegas Muga in Rioja. This one is a darker pink color; a rosy-cheeked minx, with a heavier flavor that can stand up to meats and cheese, but still having that bright kick of acidity. Try finding one of these rosés, and pair it with your favorite summer meals. You’ll see that even though she gets around; she really is the best companion on a summer evening. i am SO IN LOVE with triennes…. thank you for the other suggestions!! !